North Korea is going rogue again. The impetus for the change, like most things the North Korean government does, is a long-held grudge. North Korea—like South Korea—has used Japanese standard time since Japan occupied the Korean peninsula, starting in 1912. Now, North Korea is changing things up because it sees time zone as an insulting relic of colonial rule. 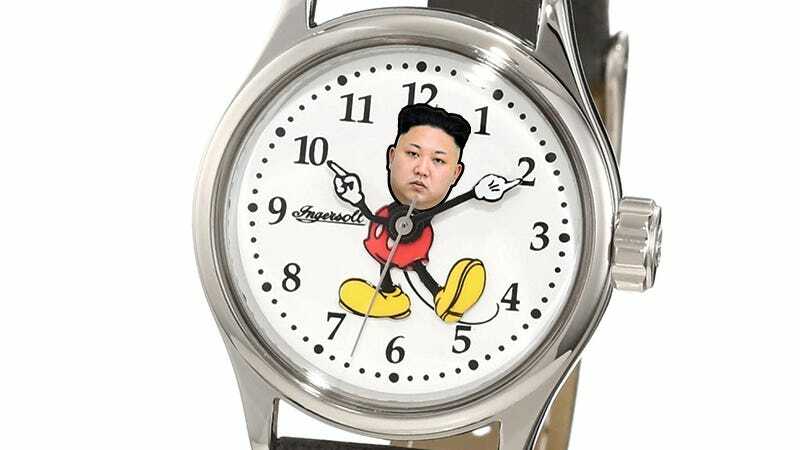 Kim Jong Un is joining Hugo Chavez in the category of “Recent Leaders Who Changed Their Country’s Time Zone By 30 Minutes”—Venezuela rolled its clocks back a half hour in 2007, though its late former president Chavez did it for a decidedly more chill reason: To make the distribution of sunlight more equal in his country. In contrast, North Korea’s clock rollback will happen on the 70th anniversary of Japan surrendering during Wold War II, just to make it clear this is a spiteful time zone change. South Korea is sticking with the Japanese time zone, and its Unification Ministry spokesman told reporters that this will be inconvenient for workers in the Kaesong Industrial Region shared by the still-warring states.